I made this dress for the lovely Saskia Lillith, a fellow tightlacer. I have made a corset for Saskia before and we spoke about making her something with a flair of drama. 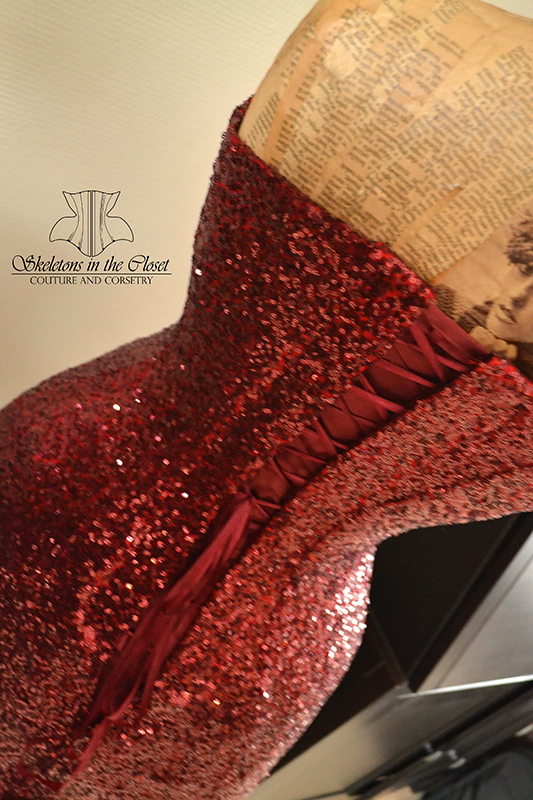 The epic curves on Jessica Rabbit will look amazing on Saskia. 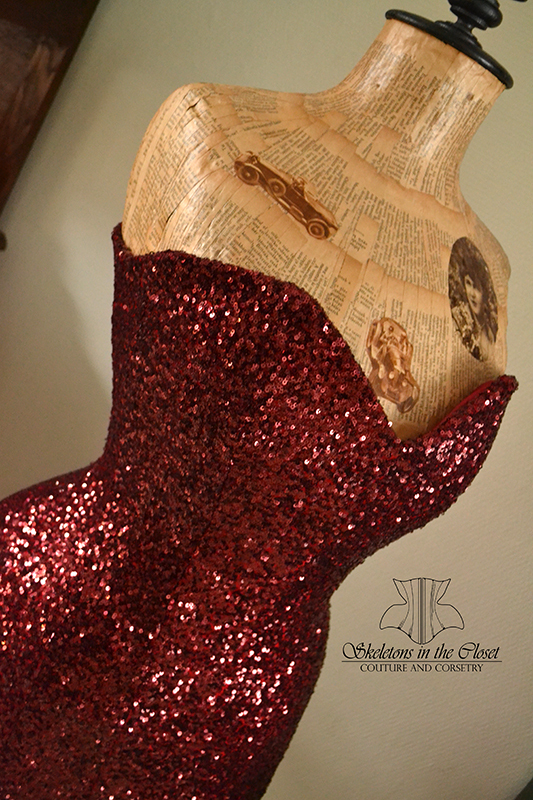 The dress is made out of a sequin fabric. This fabric has a lovely sparkle and twinkle in any light. If you follow me on Instagram you may have seen some twinkles in my stories. The dress has a build in corset counting 23 steel bones. The dress is also fully lined and the lacing at the back is hidden underneath the outer fabric. The core is made with satin coutil, this because it is really strong and at the same time not bulky. Hiding the line where the corset ends as good as possible. If you see Saskia at the Dutch Comic Con, do tell her how beautiful she looks!